The Scottish Awards for Quality in Planning: Update and vote for the people’s choice – closing soon! Have your say in the winner of the People’s Choice for the prestigious Scottish Awards for Quality in Planning by voting online (closing late September)! 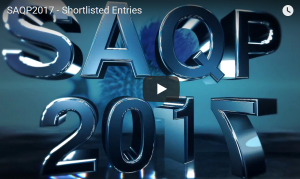 People’s Choice Award (PCA)- The People’s Choice Award allows anyone to vote for their favourite shortlisted SAQP entry. The idea is that this Award gives everyone a chance to get involved and express their support for whatever they consider to have been a great project in 2018. The poll will be open until late September. Next Stages in the Awards- On completion of the interviews and site visits, for the SAQP and Personal Achievement in Planning Award, the Judges will finalise their recommendations to the Scottish Ministers. The ceremony where the results of this year’s awards will be announced, will take place in Edinburgh in late November.